Move over, Vanessa Paradis. H&M has just unveiled supermodel Amber Valletta as the latest face of its “Conscious Collection” label-within-a-label, which features planet-friendlier materials such as organic cotton and recycled polyester. Valletta, who recently curated a series of sustainable looks for Yooxygen, arrived at the Hollywood Press Association/InStyle event Thursday in an H&M Conscious kimono dress composed of Tencel and organic silk. The dress will launch in select H&M stores April 10 at the retail price of $59.95. 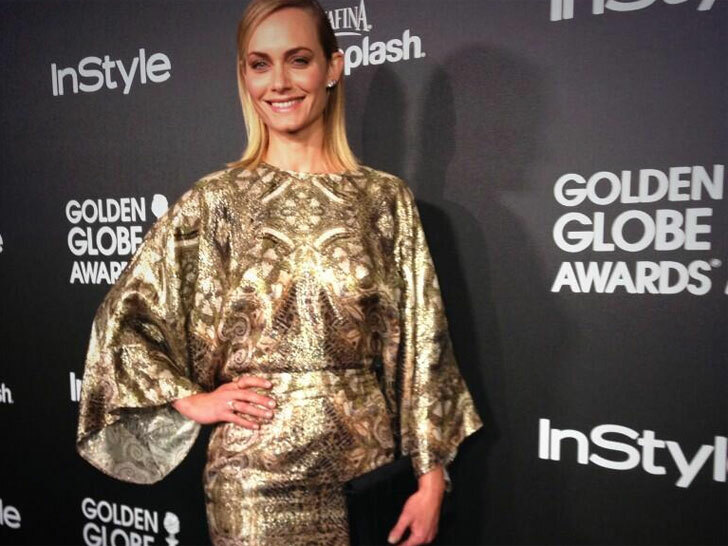 Amber Valletta is the Face of H&M's 2014 "Conscious Collection"
Move over, Vanessa Paradis. H&M has just unveiled supermodel Amber Valletta as the latest face of its "Conscious Collection" label-within-a-label, which features planet-friendlier materials such as organic cotton and recycled polyester. Valletta, who recently curated a series of sustainable looks for Yooxygen, arrived at the Hollywood Press Association/InStyle event Thursday in an H&M Conscious kimono dress composed of Tencel and organic silk. The dress will launch in select H&M stores April 10 at the retail price of $59.95.